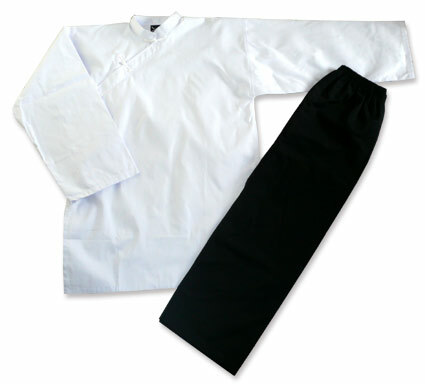 Viêt Vu Dao Kimono includes white suit and black pant, as traditionnal uniform. 65/35 polycotton fabric, 250 gr, pant with elastic waist and draw string. Traditionnal chinese buttons on the suit and specific collar with velcro scratch high quality.